Luton – Launching Vauxhall in to the leisure MPV segment, these are the first pictures of Vauxhall’s all-new British-built Vivaro Life. Due to go in to production at Vauxhall’s manufacturing facility in Luton, Bedfordshire, the Vivaro Life is a comfortable multi-purpose vehicle (MPV) that will be offered in two lengths, tailor-made to customer requirements: the 4.95m “Medium” and the 5.30m “Large” – each of which comes with up to nine seats. The Vivaro Life meets all demands – from the versatile interiors, high comfort and sophisticated driver assistance systems, to state-of-the-art infotainment, head-up display and camera/radar-based active cruise control. The advanced technology is paired with typical Vauxhall design cues, balanced proportions and short overhangs. Driver and passengers benefit from a two-piece panorama roof and an opening window in the tailgate. The Vivaro Life will celebrate its world premiere at the Brussels Motor Show on 18th January 2019. Order books will open in February. 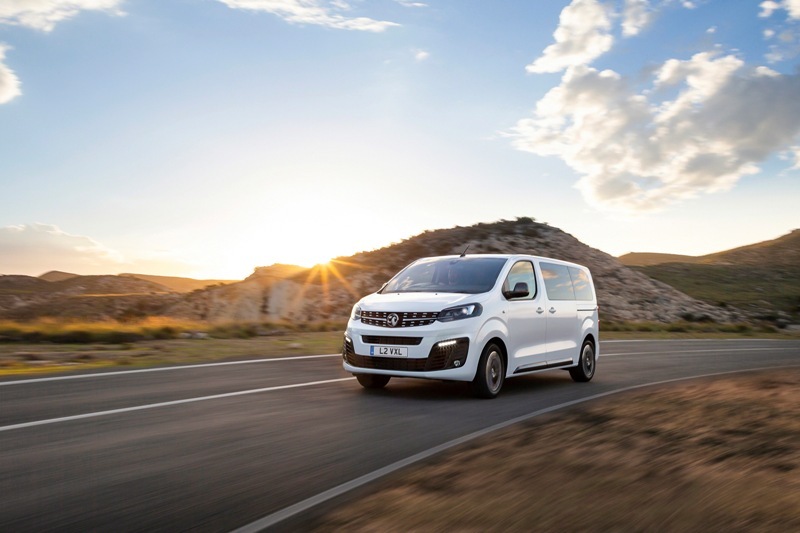 Vauxhall’s all-new Vivaro Life, which is based on Groupe PSA’s EMP2 platform, will be built at the company’s Luton manufacturing plant, helping to secure 1,250 jobs. Investment in the new vehicle will help increase the plant’s production capacity to 100,000 units per year. Vauxhall will offer a purely electric version in early 2021, another milestone on the journey to electrifying the brand. With the new Vivaro Life, Vauxhall continues to implement its PACE! strategic plan. By the end of 2020, the British brand will bring to market a total of eight new or refreshed models, including the next generation of the best-selling Corsa. Vauxhall will open the order books for the all-electric Corsa, a real electric car for everyone, and the Grandland X as a plug-in hybrid, in the first half of 2019. The company is investing above all in profitable, growing market segments with high volumes. Vauxhall will soon have one of the youngest product portfolios of all volume manufacturers. Vivaro Life Medium and Large both have a 3.28m wheelbase which means they can compete with midsize vans in the D market segment. Compared with the competition, the Vauxhall also features a larger tailgate and easier access for loading/unloading, plus a higher payload of more than one tonne. The Vivaro Life “Large”, with a luggage capacity of around 4,500 litres, is a rival for even bigger vehicles. Stylish, highly-equipped shuttles are in great demand in this market segment. Vauxhall offers leather seats on aluminium rails that allow full and easy adjustment for all versions of the Vivaro Life. Four, seven or eight leather-seat configurations are available. Five, six, eight or nine cloth-seat configurations are also available. The folding back of the front passenger seat allows the transportation of objects up to 3.50m in length. The removal of the rear seats (which are equally easy to reinstall) raises the total cargo capacity to as much as 3,397 litres. Luxurious “Lounge” trim is available for the Large versions – in front, seats with massage and electric heating, two movable leather chairs behind, each with a 48cm wide seat cushion. VIP passengers can thus also sit facing each other and enjoy the legroom. The movable table also folds away to provide additional storage space for small objects. Passengers can charge their mobile devices using the 230V plug socket. All versions of the Vivaro Life are less than 1.90m high and can access typical underground garages – important for use as hotel shuttle. And for the best traction on loose surfaces, the Vivaro Life is equipped with the advanced IntelliGrip traction control. The new Vauxhall MPV features numerous driver assistance systems. A camera and radar monitor the area in front of the vehicle. The system even recognises pedestrians crossing the road and can initiate an emergency braking manoeuver at speeds up to 18mph. The intelligent cruise control adjusts the speed to that of the vehicle in front, automatically decelerates and can reduce the speed to 12mph if necessary. Lane-keep assist and drowsiness alert warn drivers if they have spent too much time at the wheel and need a break. High-beam assist, which automatically switches to high or low beam, is activated above 16mph. Also available is the colour head-up display that shows speed, distance to the preceding vehicle and navigation. 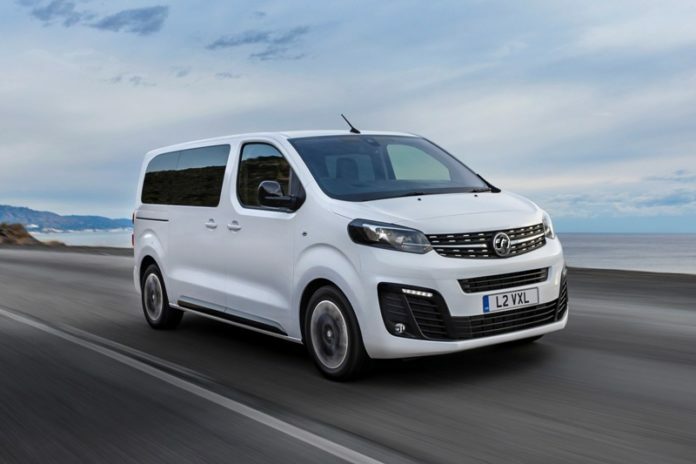 During the course of 2019, the Vivaro Life will also offer the Vauxhall Connect telematics service as standard. Helpful functions, such as Live Navigation with real-time traffic information, direct connection with roadside assistance and emergency call, give the driver and passenger’s additional peace of mind. Help can be reached within seconds via the red button. If the seatbelt tensioners or the airbags are deployed, the emergency call is activated automatically. Good all-round visibility is particularly important in larger vehicles, for example in narrow streets or when making turns in urban areas. Ultrasonic sensors in the front and rear bumpers alert the driver to obstacles of every kind when parking. The image from the rear view camera is displayed on the interior mirror or the 7.0-inch screen – the latter with 180-degree visibility from the bird’s eye view. The large 7.0-inch touchscreen comes with Multimedia and Multimedia Navi infotainment. Both systems feature phone integration via Apple CarPlay and Android Auto. Multimedia Navi additionally features European navigation with 3D view. Points of interest in large towns are displayed in “Full HD” quality. As an option, the geography along the route on cross-country journeys is shown very realistically. Thanks to Vauxhall Connect, the navigation system includes real time traffic information for the latest status on the roads. A powerful sound system is available with all trim levels. In the top-of-the-line version, passengers enjoy first class acoustics thanks to ten loudspeakers.